The Sandcastle is Neal Communities largest villa home design, with 3 bedrooms, 2 baths, and a 2-car garage in 1,842 square feet of living space. A large island and plenty of counter space is found in the kitchen, overlooking the spacious Great Room and dining area. A separate den is tucked away between the second and third bedrooms. The Master Bedroom includes an over-sized walk-in closet, dual sinks and separate water closet. An outdoor lanai completes this floor plan. Our Neal Communities villa homes are maintenance-assisted, making them ideal for small families, individuals and those seeking secondary or vacation homes. Come by to visit Indigo in Lakewood Ranch and see the model homes. Call today 941-877-6394 for more information and schedule a private tour. Indigo homeowners enjoy a wealth of amenities including: a recreation center with club room and café kitchen, community pool and spa, fitness center, pickleball and bocce ball courts. An on-site Activities Director plans daily outings, classes and social events. Residents at Indigo enjoy convenient access to picturesque white sand beaches, championship golf courses, world-class shopping and much more. 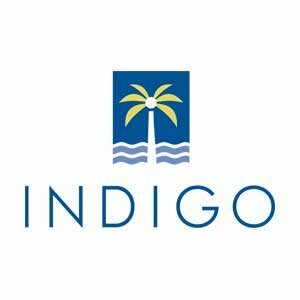 Come visit Indigo today and see why it stands out from the rest! From I-75: Take Exit 217 to State Road 70 East. Turn left on Lakewood Ranch Boulevard. Turn right on 44th Avenue. Drive past BD Gulllett Elementary School then cross White Eagle Boulevard and Indigo will be on the left.